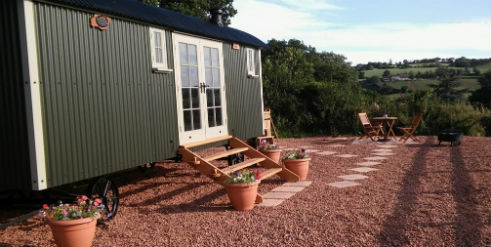 Holly Water Holidays is a tranquil glamping escape on a farm in mid Devon, approximately 3 miles from Crediton, offering a slice of heaven with Shepherds Huts and wood-fired hot tubs. 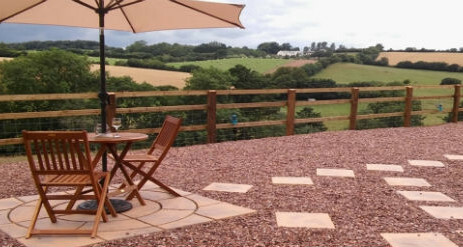 Crediton our local town sits within easy reach of Exmoor, Dartmoor and both the North Devon and South Devon beaches, a perfect place from which to explore our beautiful county. 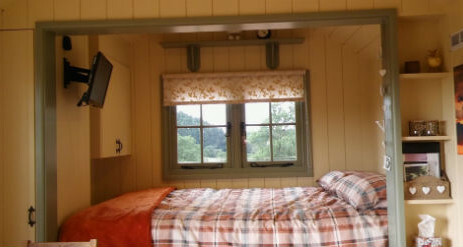 Sleeping two, our Shepherd huts provide the perfect romantic retreat and an escape from the demands of everyday life, somewhere to enjoy life’s small and simple pleasures while you recharge your batteries. The huts sit in one of our sheep fields and the sheep have favourite resting places below the mature oak trees. The flock is named after the abundant bluebells that transform one of the fields into a blue carpet in May. Hence it made perfect sense for our huts to take their names from these same features of the land. 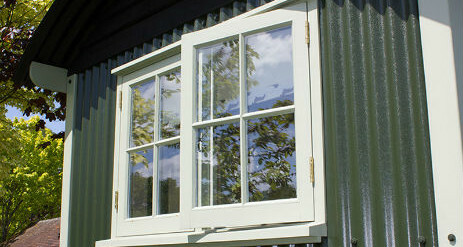 We have ‘Oak’ and ‘Bluebell’ for you to choose from. 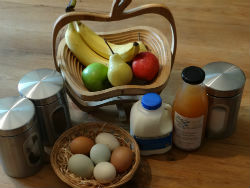 On your arrival you will find a welcome basket with all that you need to make a ‘cuppa’ and settle right in. 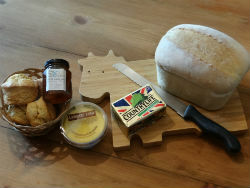 Extras can always be added by arrangement or you can upgrade your basket to one of our 3 larger baskets: The Cream Tea, The Big Breakfast or The Combo Basket*. There is no wifi or telephone in the huts (although obviously a multitude of pubs, cafes etc in the surrounding area have access to these if you wanted it). 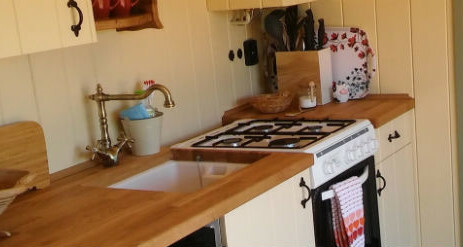 During your stay you may wish to order from the farmhouse kitchen menu which is available in your information guide and includes a variety of ‘ready’ meals prepared for your convenience using our own farm produce and local ingredients which you will just need to pop in the oven. We also have a good range of farm produced meat and eggs available to order before your trip or daily whilst you are here. Crediton town itself is an old market town which now has a lively monthly Farmers Market selling locally sourced products. The high street has the usual shops in addition to independent butchers, bakeries, delicatessen and coffee shops. Crediton also has a swimming pool and sport centre. Within a few miles there are several villages to explore with pubs that serve food, a couple of farm shops and many footpaths. In addition to moor and sea we are well served with a wide variety of attractions and places to visit including numerous gardens, historic houses, open farms, National Trust properties, the historic city of Exeter and it’s many attractions to name but a few. Below are just a handful of ideas and there are many more depending on what type of holiday you have in mind. 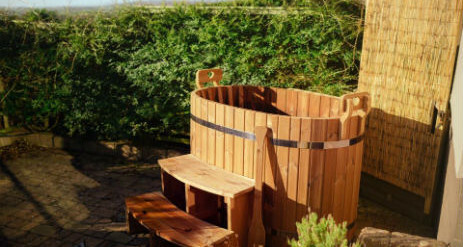 You might simply choose to leave the car by your Shepherd’s hut and explore the local footpaths or cycle with the bikes provided along the lanes. The choice is yours!